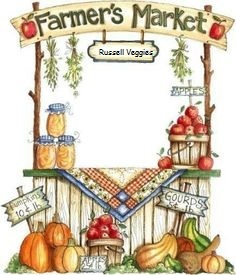 Fall is here… along with that comes a change in the produce. It’s time for all the great fall squashes ~ acorn, butternut, buttercup and spaghetti. Sweet potatoes have also been dug and ready for your favorite recipes. Apples are available as well, Golden Delicious and Mutzu. It’s also broccoli time again, we will have more again this week. Come early for your supply…they are sure to sell out quick. Don’t forget to place your order for our “Baskets of the Week”, I need all orders by noon Friday. Please note that this will be the last baskets of the season. We will continue taking pre-orders on the produce we have available each week thru the season. We are beginning to see the end of our summer produce, so our availability will become much less. Kenny still has tomatoes… hopefully for several more weeks. We will also have corn, our last of the season. We’ll have green beans, kale, cabbage, red potatoes, beets, zucchini, summer squash, cucumbers, bell peppers, and candy onions. Kenny still has a few more of his many different hot peppers and hopefully some cherry tomatoes. This will be the last week for canning tomatoes, they are $15 a half bushel. We will also have some #2 Golden Delicious apples available for $20 a half bushel box (approx. 20 lbs). These will be done by pre-order only now, so let us know if we need to bring some for your canning projects. First ordered, first saved… until gone.